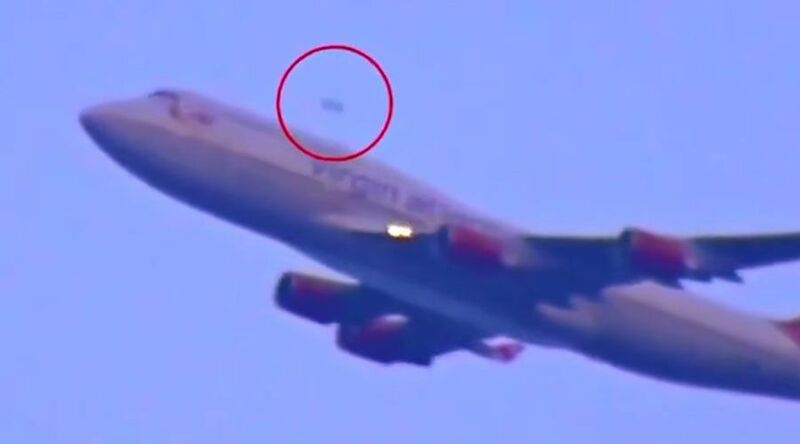 A plane enthusiast has filmed a weird video which prompted online speculations of a UFO overtaking a Virgin Atlantic plane during take-off from New York’s John F. Kennedy International Airport. The footage reportedly taken on July 7 shows an unidentified object flying over the Virgin Atlantic plane at high speed. The trivial video has prompted speculations about a possible UFO sighting at JFK. Rick, from LookNowTV, a UFO paranormal channel, who reportedly discovered the video said the footage hasn’t been tempered with, according to DailyMail Online. YouTube users were confused by the video, which may be a hoax. Some wrote that they are convinced it “100 percent real,”while others suggested that it could be a drone or a military plane. “On the zoomed in and slow mo shots you can clearly see It even has its own red force field, 100% aliens!” user Tom Baldwin wrote in comments on YouTube. Russ Kellet, who claims to be a UFO investigator, cast doubt on the speculation, saying that the flying object could be a bird or anything else at a different angle.